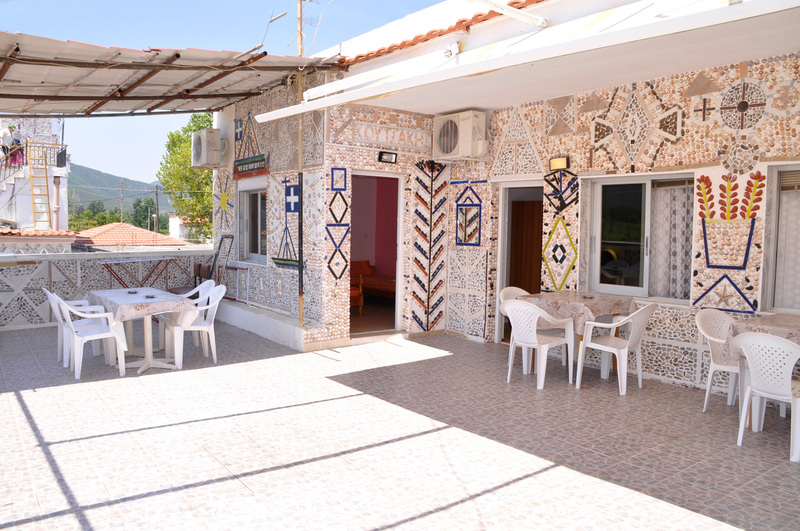 The rent rooms “Fenomeno”, in Paralia Vrasna, is a distinct tourist accommodation in the area of Strymonikos Bay! The exterior walls of the facilities are decorated with the basic elements of the sea and the beach, which is just 10 meters away. Thousands of seashells make up inspired representations of Greek traditional tourism … the sun and the boats will surely impress you! The owners of Fenomeno Rooms have themselves created these works of art and they are waiting for you to enjoy them during your summer vacations!